You are here: Home » New Holland Artisan Spirits: Who’s Ready for Some Double Dragon? New Holland Artisan Spirits: Who’s Ready for Some Double Dragon? If science has taught us anything, it’s that everything is better when it’s wrapped in bacon. I won’t support this assertion with examples, because we all know it’s true. The folks over at New Holland Artisan Spirits have been fooling around with whiskey for a while now, and the results have been very good. But now they’ve done even better, because they’ve wrapped their latest effort in the beer equivalent of bacon – New Holland Dragons Milk. Dragons Milk is one of my favorite beers; a hugely rich and boozy dark ale that goes from my tongue right to the pleasure center of my brain. It’s aged in bourbon barrels, and while the barrel flavor is getting into the beer, the beer flavor is also getting into the barrel. New Holland had the clever idea to take advantage of this, and have used the Dragons Milk barrels to once again age whiskey. The result is called…umm…nothing yet. The bottle I received was a prototype and had no label, but I’m calling the stuff Double Dragon, because it’s a cool name and I fully intend to enjoy it while also sipping on a goblet full of Dragons Milk. Two hands, two Dragons, Double Dragon. Ka-chow! Because this is a prototype sent to us by our pal Rich Blair over at New Holland Artisan Spirits, I’m not sure how much I’m supposed to say about it, so I’ve decided to say whatever I want. I’m a big fan of what I call “cowboy whiskey” – I like ’em rich, sweet and young. I guess you could call that “Bieber whiskey” as well 😦 . Anyway, think of Stranahans Colorado Whiskey, or New Holland Brewers Whiskey and you get the idea. 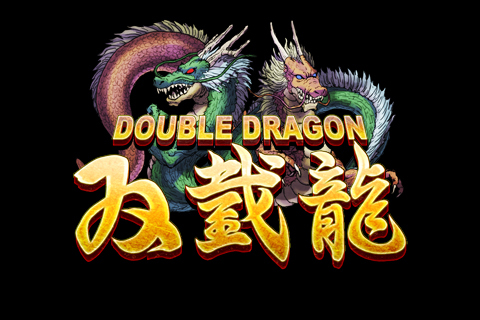 Double Dragon (catchy, right?) takes a sweet, young whiskey and adds a lovely layer of rich maltiness to it, right at the back end of the taste. It starts a little hot, then you get that sweet young whiskey flavor, and then this huge thread of caramelly deliciousness from the Dragons Milk barrels. Magical. Then you count to three, and a little fireball ignites deep within your gullet. That’s the Dragon. This stuff is amazing, and I would never buy it. Seriously. A 375ml bottle wouldn’t see the end of a weekend. I’m not a big booze hound, but this stuff is absolutely craveable. I’m not sure what the whiskey experts might think, but as a beer geek who likes an occasional nip, this stuff hits the spot like nothing else I’ve ever had before. How come I didn’t get mine yet? Mine came yesterday, and I ripped it open like a kid on Christmas. I’ve been waiting for this stuff ever since Rich told us about it weeks (months?) ago. I’m sure yours will be there any day. Go look outside!! Burn ’em, burn ’em with FIRE!!! Being in Chicago, I’ll bet you can get this when it hits the market. You nailed it, Don. In a few months, John will be the one who can get this stuff and I’ll be high and dry! I hope they are not referencing the spirit as bourbon since they are putting it in old bourbon barrels. I’m guessing it will be Artisan Whiskey. Ha ha. I’m sure it’s whiskey, because it’s young as well. I think they have enough respect for Bourbon to not attempt to blur any lines. HA! No arguments. If it isn’t priced insanely like a lot of the artisanal products I’ll try it. Otherwise there are plenty of correctly priced Kentucky products still out there. Like an Old Weller Antique. I just want to take credit for turning you onto the OWA John. Credit to me…. You are correct Don. By the way BCS rare coming in at 155 a bottle on Ebay in case you didn’t drink it. i am super jealous at the moment. Wow, sounds pretty damn tasty hopefully they release this soon. Nice name idea too.